The first weekend of October, 2014, I spent nearly every waking moment at the Riverside Greek Fest. 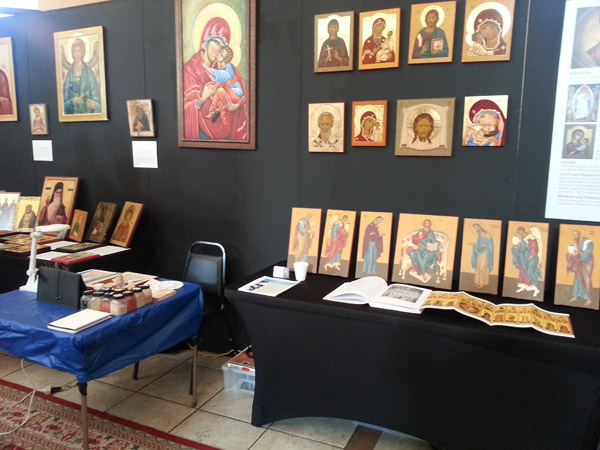 Every year, St. Andrew’s Orthodox Church puts on a big festival which includes an indoor “Arts and Culture” exhibit in addition to the usual Greek Festival features (music, dancing, food, ouzo…). 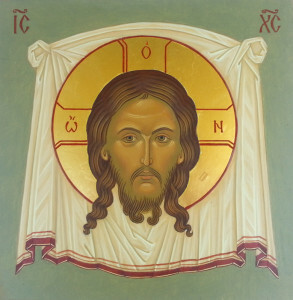 That year the theme of the exhibit was the Icon, and I was invited to be the artist in residence. 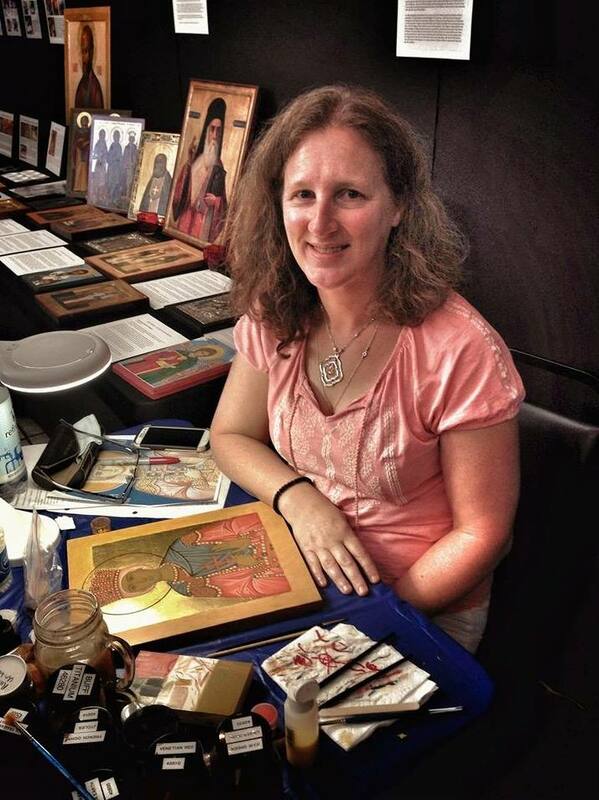 During the Greek Fest, I worked on an icon of St Catherine of Alexandria, the Great Martyr. She was commissioned for a young girl by her godmother. I did the drawing and gilding at home before the festival, and also prepared cinnabar paint ahead of time, since it required grinding with the muller. 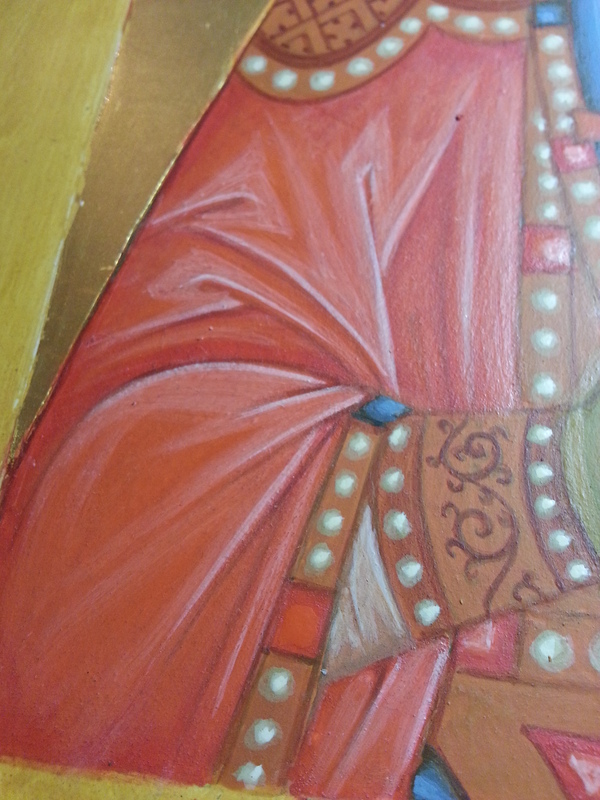 Working on St Catherine was really fun, partly because I was painting a garment in real historic cinnabar, the traditional color for martyrs. My teacher Marek once compared it to painting with a live coal, and I have to agree. There was also a lot of detail on her rich garments, precious stones, pearls, and patterns. After the weekend was over, I finished her face at home (where I could concentrate and pray more easily than at the festival), and applied the gold highlights to her crown and garments. As the temperature remained in the triple digits each day, I was thankful for my air conditioned oasis. The hot weather meant that many people sought refuge in the exhibit. A number of them spent time talking with me and watching me work. I sat at a card table between displays of icons of all sorts. 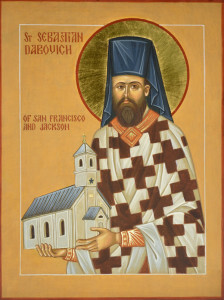 Many of them were from the church or from parishioners’ homes. I also had a wall and table display of my own work (to the right of the table). I remember with great fondness some of the lovely conversations I had with parishioners and others who spent time with me. 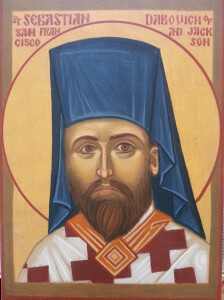 Some wanted to know the story of how I joined the Orthodox Church; others wanted to know how I learned iconography. 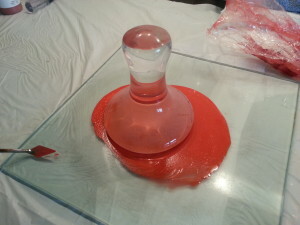 Many people asked me particular questions about the icon and about what I was doing. I spoke with parishioners of St. Andrew’s, visitors from other churches, and members of the general population. One lady in particular had a long conversation with me and then promised to pray for me and my family every day, which was the best thing anyone said to me all weekend. I had a great time at the Greek Fest and hope to return!